As tensions remain on the Korean peninsula, this book looks back on the decade of improved inter-Korean relations and engagement between 1998 and 2008, now known as the ‘Sunshine Policy’ era. 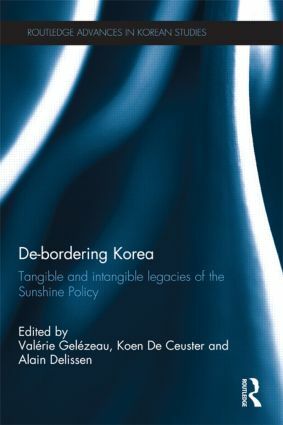 Moving beyond traditional economic and political perspectives, it explores how this decade of intensified cooperation both affected and reshaped existing physical, social and mental boundaries between the two Koreas, and how this ‘de-bordering’ and ‘re-bordering’ has changed the respective attitudes towards the other. Valérie Gelézeau is Associate Professor at the Ecole des Hautes Etudes en Sciences Sociales (EHESS, Paris), and Director of EHESS' Center for Korean Studies. Alain Delissen is Korean Foundation Professor of Korean Studies (Modern History) at EHESS, Paris and current director of its China, Korea, Japan CNRS Joint-Lab. He also teaches at Geneva University, Switzerland.